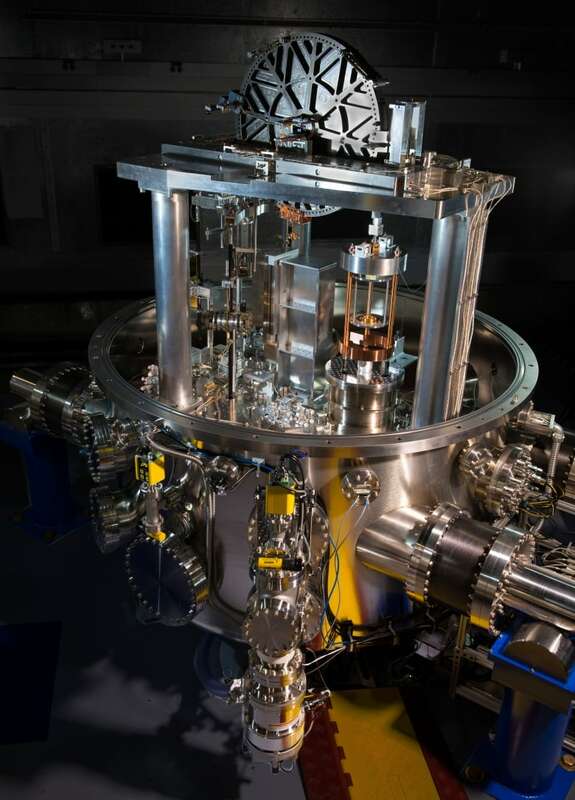 Scientists are updating the definition of the kilogram, after years of nursing a sometimes dusty cylinder of metal in a vault outside Paris as the global reference for modern mass. Just as the redefinition of the second in 1967 helped to ease communication across the world via technologies like GPS and the internet, experts say the change in the kilogram will be better for technology, retail and health — though it probably won't change the price of fish much. The kilogram has been defined since 1889 by a shiny piece of platinum-iridium held in Paris. All modern mass measurements are traceable back to it — from micrograms of pharmaceutical medicines to kilos of apples and pears and tonnes of steel or cement. So, at the end of a week-long meeting in the Palace of Versailles, Paris, the world's leading measurement aficionados at the International Bureau of Weights and Measures will vote on Friday to make an "electronic kilogram" the new baseline measure of mass. Just as the metre — once the length of a bar of platinum-iridium, also kept in Paris — is now defined by the constant speed of light in a vacuum, so a kilogram will be defined by a tiny but immutable fundamental value called the "Planck constant." "In the present system, you have to relate small masses to large masses by subdivision. That's very difficult — and the uncertainties build up very, very quickly," Robinson said. "One of the things this [new] technique allows us to do is to actually measure mass directly at whatever scale we like, and that's a big step forward." But while the extra accuracy will be a boon to scientists, Robinson said that, for the average consumer buying flour or bananas, "there will be absolutely no change whatsoever."